Those potential OnePlus 2 buyers in India who have been waiting for the required invitation to buy the phone, finally have some good news. 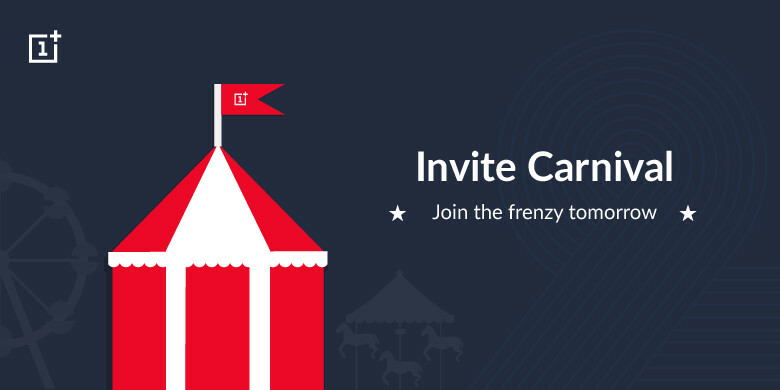 Starting Tuesday at noon Indian time, OnePlus is holding an event it calls #InviteCarnival with 3000 invitations to be given away. To try to win one of the 3000 "Golden Tickets," you will need to answer puzzles, quizzes and trivia questions. OnePlus does have some rules. Only one entry is permitted for each contest. Only one invite is to be shared with a fan. Participants can enter as many contests as they want, and winners will be chosen on a first come first served basis. OnePlus is telling those planning on entering the contests not to take anyone's help in the name of fair play. If you live in India and don't bag an invite during the two days that the #InviteCarnival will run for, don't fret. The company says that more invitations will be offered soon. You are better using a Nokia 1100 than this POS. what's wrong with my post bro? It's my opinion and my choice to go for G4. From India: Sorry, no more interested. After my list in the invite queue moved from 4 million to 5 million, I've moved to another phone (even though it is much more expensive than OP2). You've screwed it up badly, OnePlus, again and again. From India:I'm a die hard fan of oneplus and to a fault. I mean just look at my avatar, I loved the oneplus one but they've really pissed me off this year, I've been trying so hard to get my hands on the op2 from the first day. Eventually I got frustrated and now I own the moto x style. No regrets. Step up your game OnePlus. Android market is really competitive and saturated. how did you manage to get the Moto X Style? Do you mean the Moto X Pure? If its the Style, from where did you get it and for how much? This is one company I love to hate now. Where to get Lg g4 in 400$ in India? Digging their own grave. Idiotic way to sell a phone. Lots of major companies selling their products to our door steps. U cant buy lg g4 for 400$ it ll be around 35k in indian money. $400 is 25K in Indian money bro not 35K. From India:I will also going to buy lg g4 soon.I m fed up of stupid invite system.All the people who wants Op2 but now decided to buy other smartphones due to invite system gives a great lesson to One plus.I hope Op3 must be released next year without invite system. I was very much interested in buying this phone. But the annoying invite system and doubtful customer support. I am moving away from it. 3k Invites, One Plus you need to know India population.